Someday I'll Sleep Autism Blogs: Sadie's Growth Spurt: 16 Dresses for $91! As I packed box after box of little girl baby clothes a few thoughts repeatedly went through my mind. First off was: "Wow, this is a lot of pink." Then: "If we find out we're having a boy I'm going to make sure we have like... a tenth of the amount of clothes when the baby's born..." And finally: "Sadie is growing out of her size fours and fives... She's a little bean pole... And we're going to need to do another round of "We-don't-have-any-clothes-that-fit!!!" shopping soon." Today I decided to see what I could find. I went to Ebates (because if I have to go shopping I might as well get something back...) and clicked over to see the coupons for Kohl's (they have them right there on the site). Then I clicked over to Kohl's via Ebates and headed straight for the clearance section. I'd actually looked at the clearance section yesterday, but apparently they added a bunch of new dresses today (yay!) and before I knew it I had 16 (wow!!!) dresses in my cart. Some were 6s and some were the next size up (two wardrobes!). One was a matching dress for Mae to wear next year. The most expensive dress, pre-coupon was $7- something. The dresses added up to $105 before shipping. After shipping and tax it was $120-something. So I added the coupons and watched as the price dropped almost $30 to $91. Sixteen super cute dresses for $91. No dress was over $6.53 after the coupons were added (and some were in the $4 range!). And after the rebates come back (it should be later this week) it will be another 4% back (which puts it at about $87!). Not bad for dresses that will hopefully last us for a very long time (as I write those words I wonder if she'll have a 6 inch growth spurt next week...)! And I no longer have to worry about what she's going to wear next month! I was just at Kohls yesterday and I was amazed at all the adorable dresses for babies that were so cheap. I couldn't find a printable % off coupon before I went out so I settled for buying one OshKosh jumper for the baby (If the ultrasound was wrong I'm in so much trouble!). They had tons of baby clothes that were under $10 an outfit. I've got you beat but mine was more difficult. I have 9 dresses for $15. We happen to have some very nice goodwills. You can check out my awesome finds at https://www.facebook.com/media/set/?set=a.607240892914.2093817.69301182. I think I'll work on blogging about my finds sometime in the next few weeks. Awesome! I love finding a good deal. I found a similar deal at JC Penny's recently - I found outfits for our 6month old for $3 and $5 (and they're cute!). You might try there, too, for good deals! Do your girls wear pants/shorts - or do you only dress them in dresses too? 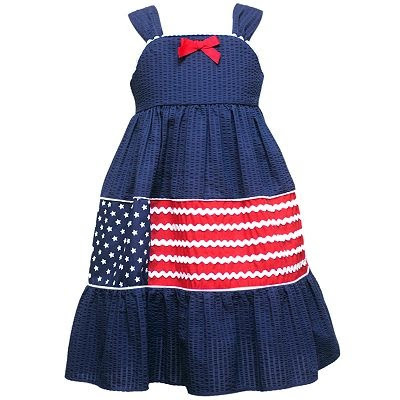 I'm asking because I've found that dresses are really impractical for my girls while they're crawling/toddling. Harder with regard to modesty, getting them in and out of carseats, not as comfortable for napping, too fancy for most situations, etc. Baroness- I love your facebook album! The chair was my favorite! There are so many great finds! Mae wears more shorts, but when I put her in dresses it actually seems to improve her walking, so we haven't found quite the same thing. Sadie wears pretty much all dresses, and I've stopped buying her shorts, because she cries when I try to put her in pants or shorts... She wants to be like Mommy (if I asked her she'd put on her snood most days too). I've been thinking about doing a post about it. As far as the modesty issue goes, I'd be reminding Sadie to "sit like a lady" whether she was in pants or skirts. We do save the fancy dresses for Mass, but the simple cotton and knit dresses are comfortable and appropriate for pretty much any time (they're so thin we haven't had any trouble with carseats or napping). But most importantly it keeps Sadie from crying that she isn't wearing a "princess dress." Oh, thank you! I am going to go look at Kohl's the next time we need to shop for kid stuff. I'm on pins and needles to know what this kid is going to be! We are due Mar 4 2012 and I am so torn between wanting a boy too, and wanting another girl.